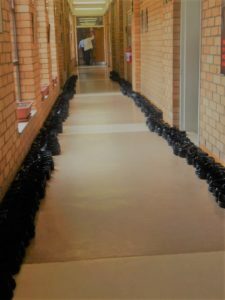 From the first pair of Matric shoes handed in at 10:30 today, to the hordes of Matrics who walked home in their socks at 11:30 – thank you. You have made almost 200 less fortunate kids lives just a little better. Fish Hoek High School – excellence on your doorstep.